Marks & Spencer occupies a position in Howard Centre situated on Osborn Way, a 0.21 mile drive east from the centre of Welwyn Garden City (by Welwyn Garden City Station). This store is beneficial for the people of Haldens, Peartree, Stanborough, Digswell, Panshanger, Lemsford, Welwyn, Wheathampstead and Knightsfield. If you would like to drop in today (Friday), its operating times are 8:00 am - 7:00 pm. 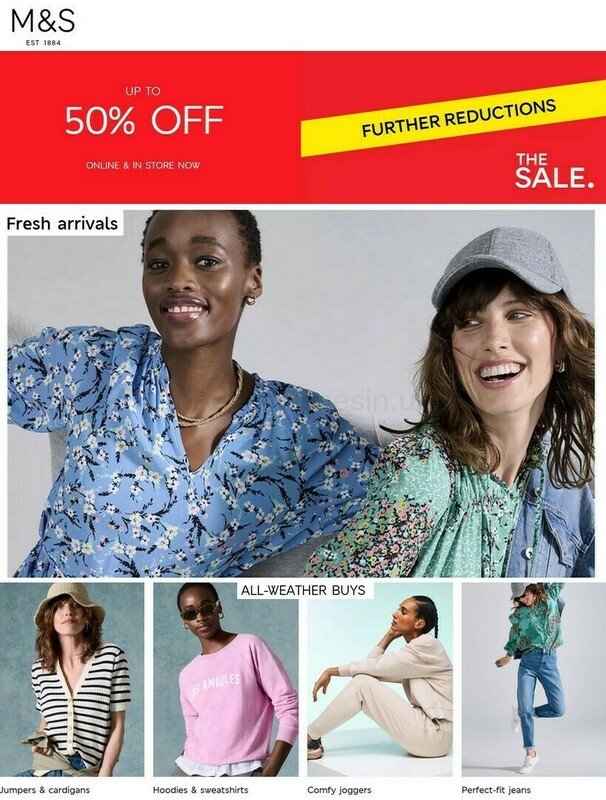 Refer to this page for the specifics on Marks & Spencer Welwyn Garden City, including the hours of opening, place of business info, direct contact number and additional information. Marks & Spencer can be found in an ideal position right near the roundabout of Osborn Way and Church Road, in Welwyn Garden City, Hertfordshire, at Howard Centre. Only a 1 minute drive from Howardsgate, Longcroft Lane or Wigmores South; a 3 minute drive from Bridge Road, The Campus and Fretherne Road; and a 6 minute trip from Bessemer Road or Broadwater Road. For customers using Satellite Navigation systems (GPS) please type in postcode AL8 6HA. You can catch the buses to Church Road/Sainsburys and Welwyn Garden City Bus Station. Routes that stop here: 6, 201, 203, 204, 206, 215, 230, 242, 300, 301, 314, 315, 366, 388, 401, 403, 404, 405, 601, 653, 724, W4 and W14. If you are coming by train, Welwyn Garden City Station (820 ft), Welwyn North Station (1.92 mi) and Hatfield Station (2.87 mi away) are nearby. Easily accessible along the local line: Great Northern. Nearby you may visit Welwyn Rugby Club, Sherrardspark Wood, New Maynard Gallery, Welwyn Garden City Golf Club, Hawthorne Theatre & Cinema, Brocket Hall, Gosling Stadium and Welwyn Velodrome. The total number of Marks & Spencer stores presently operational in Welwyn Garden City, Hertfordshire is 1. Check out the entire list of all Marks & Spencer locations near Welwyn Garden City. Please be advised that during the holiday period the open hours for Marks & Spencer in Welwyn Garden City may change from typical times proclaimed above. In the year 2019 the aforementioned alterations include Christmas, Boxing Day, Good Friday or August Bank Holiday. For added info about the seasonal hours of business for Marks & Spencer Welwyn Garden City, go to the official site or phone the direct number at 0333 014 8555. Be sure to go see the wide collection of excellent stores in Howard Centre. This place also accommodates other occupants, such as: Next, The Entertainer, WHSmith, Marks & Spencer, Barclays Bank and a few others. We work to deliver you with the latest information as possible. If you have found any discrepancies or mistakes in the address particulars or hours of operation for Marks & Spencer in Welwyn Garden City, please let us know by making use of the report a problem form. Using the box provided below, you are encouraged to post your opinions on Marks & Spencer, and rate the location.